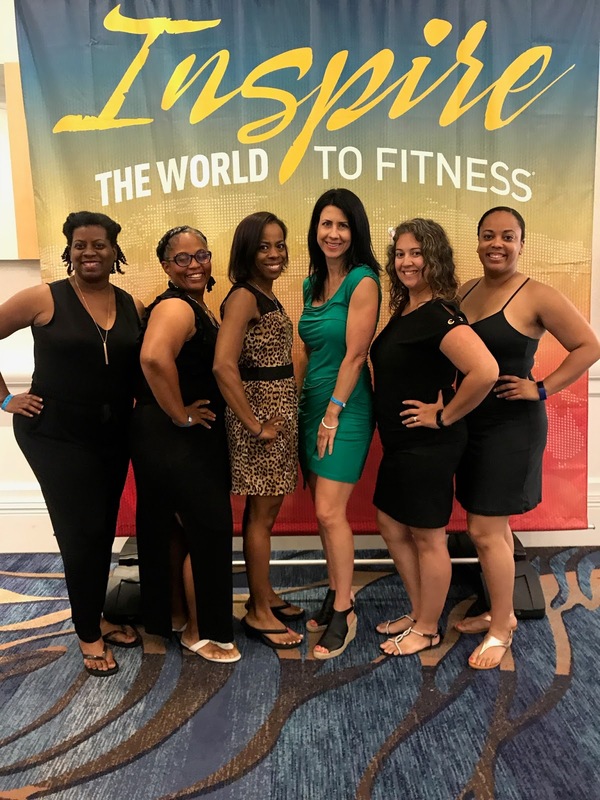 Some of the hardworking ladies behind Fit Approach + me! They are the best! BlogFest always reinvigorates my soul. Being around so many positive, motivational people gives me the energy recharge and focus shift that my mind requires each summer, it seems. 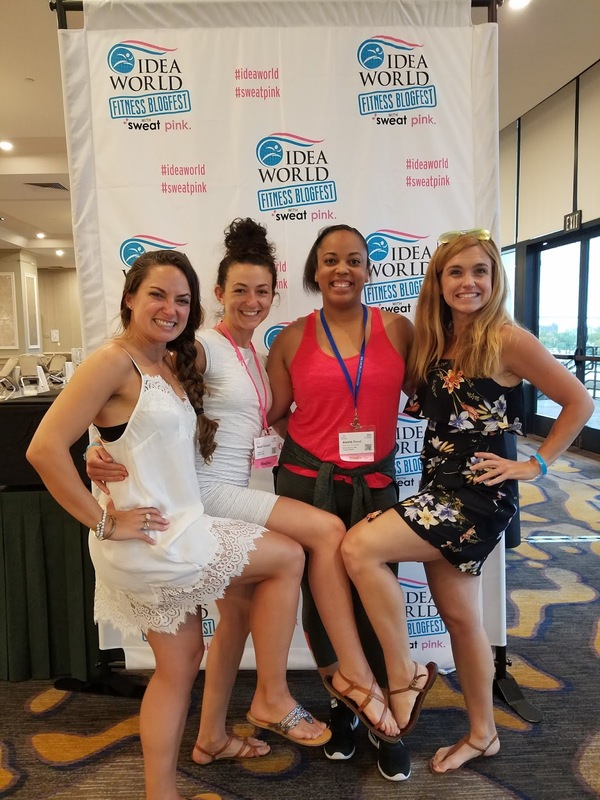 There is just so much that happens during BlogFest that it's hard to put it all into words. A lot of it is feelings. I have felt like my heart has been glowing since the final hug goodbye of the conference, and I'm going to keep this glow for as long as I can! Let me start with the basics: BlogFest is a 2-day conference within a conference that takes place during IDEA World. To attend the conference, you apply earlier in the year. If selected, you get to attend BlogFest for free, but you also get a free entry into IDEA World (I know!). BlogFest is primarily for health/fitness/wellness influencers. 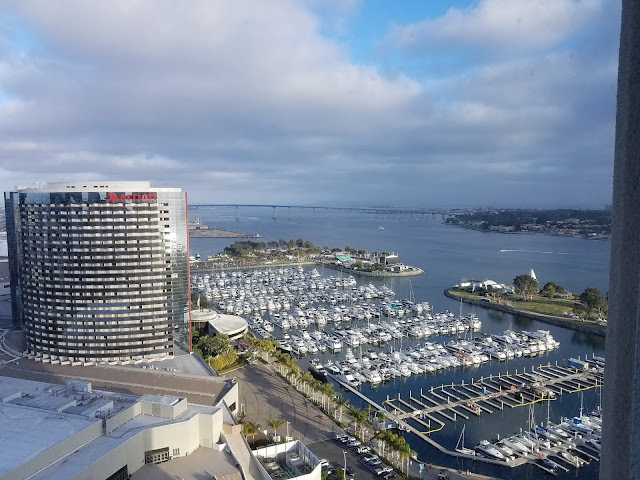 Our view from the hotel room window. 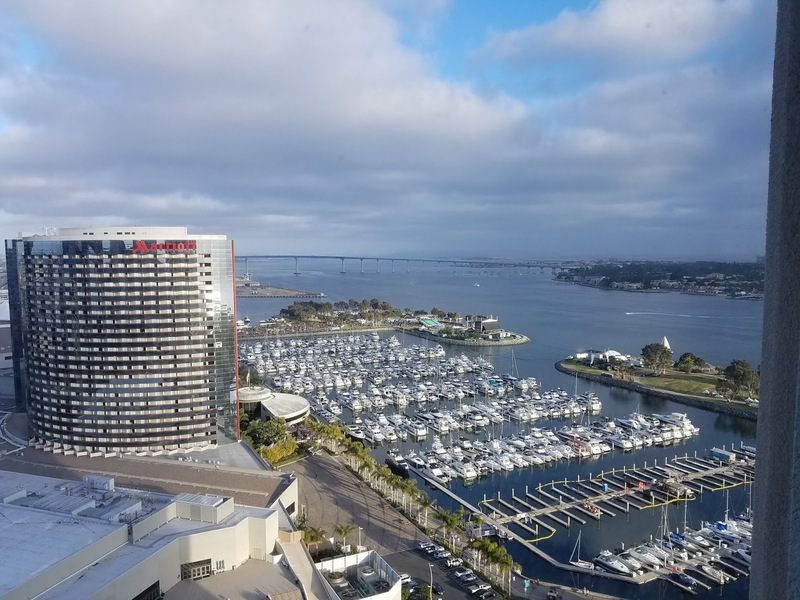 Good morning, San Diego! The first day always feels like the first day of school after summer vacation. Everyone is so excited (and maybe a little jet lagged), there's a lot of buzz and anticipation about what is to come, and folks often have a tough time staying planted in their seats when they see a virtual friend IRL or a friend they haven't seen since a previous year. 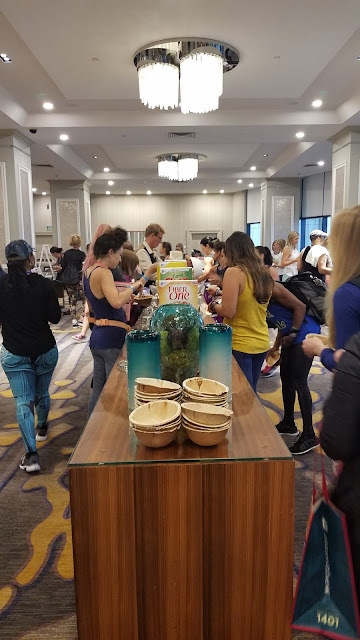 Sooooo many props go to the Fit Approach ladies who have the challenging job of herding cats throughout the conference -- but especially on day 1! 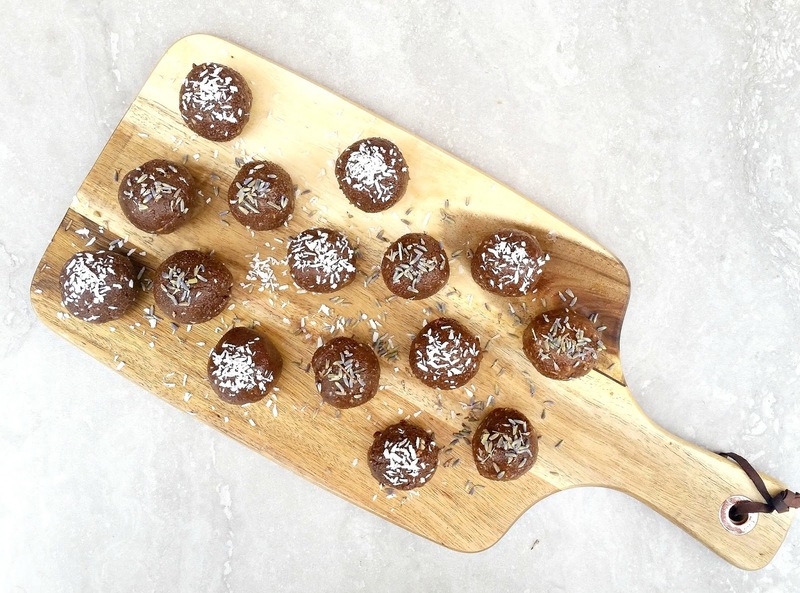 We started out with an off-the-beach beach-inspired workout using body weight and coconuts! 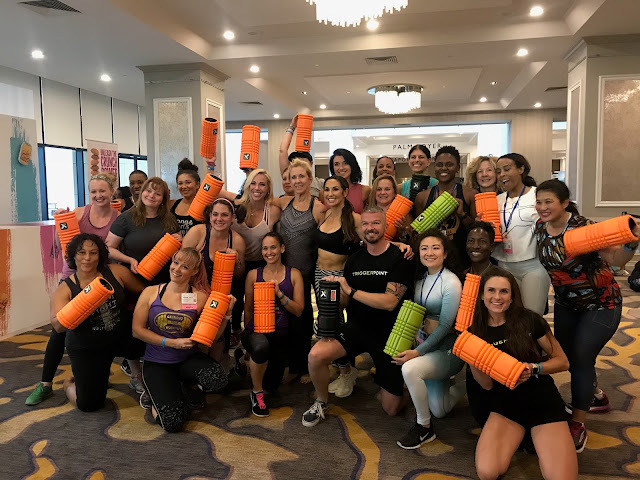 Fit Bodies Inc hosted this amazing workout, and now I want to go to all the resorts with them and teach HIIT and indoor cycling everywhere! What a cool, woman-owned company! 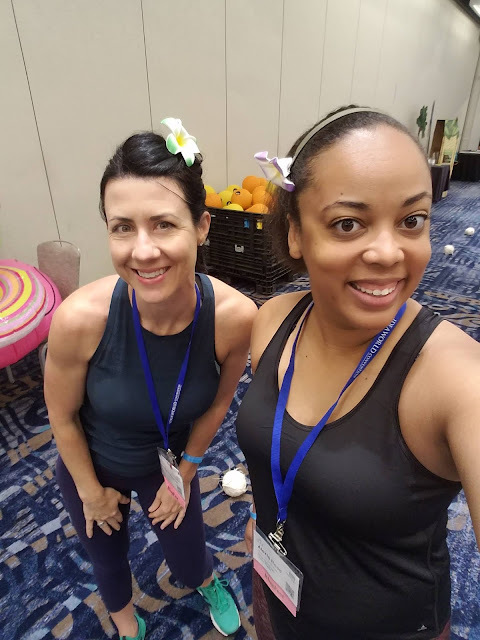 My homegirl and one of my BlogFest roomies, Emily, and me, post workout. 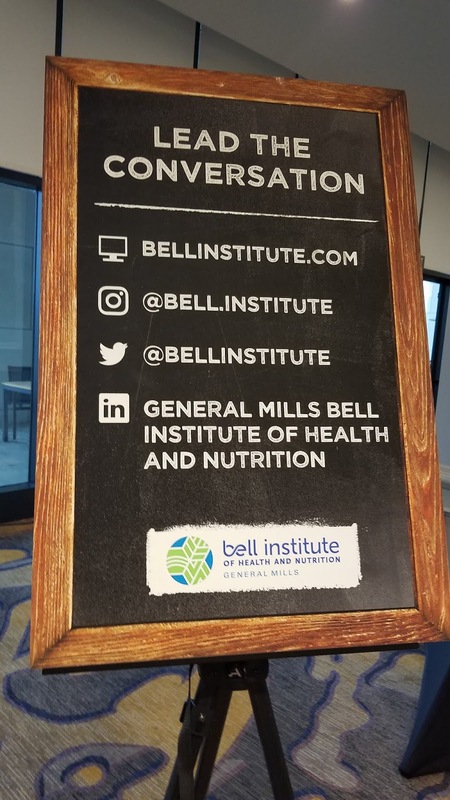 We had a great lineup of sessions on both days! 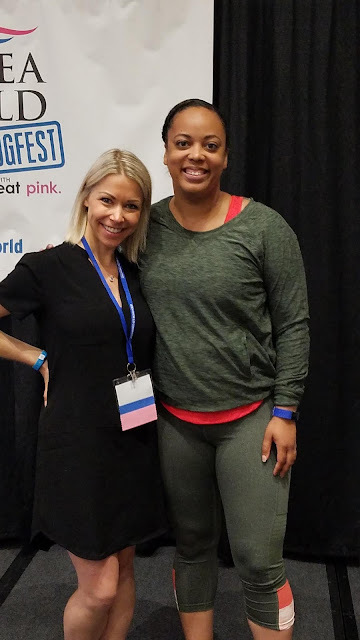 After our workout, we headed up to our BlogFest room and had an introduction, followed by a great talk with Petra Kolber on The Perfection Detox. This session really set the tone for the remainder of the conference, as we got in the mindset of being authentic and not comparing ourselves to other people. This is really important information for all "influencers" to keep in mind. We had a fun quickie session with the Almond Board of California, where they hosted a game show with some of the participants. 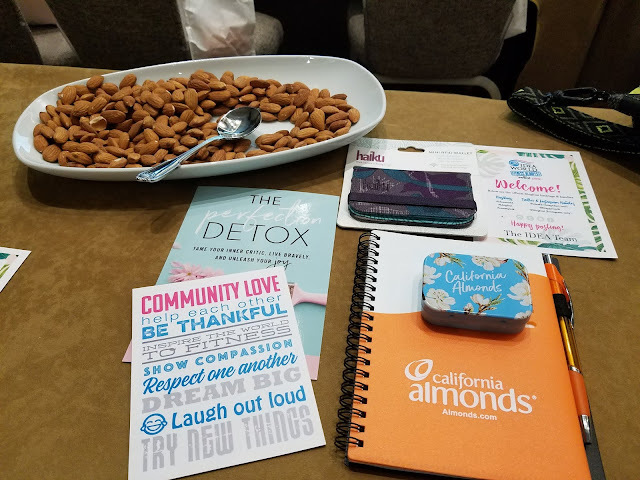 I ate a ton of almonds throughout the conference. I must have housed my little almond tins 3x in one sitting at one point. Sorry, not sorry. I love almonds! We had the IDEA World opening ceremonies after our morning sessions. It's always interesting to see people in various modalities -- and from all over the world -- being recognized for their work. After some lunch, we came back to the BlogFest session room and had a great conversation with Sadie Nardini about creating online courses. This really got my brain churning up all sorts of ideas, and I'm excited to share with you all in the coming weeks what I've been working on on the DL since BlogFest. Sadie really opened my eyes, and a light switch was flipped on in my head (enough metaphors for you?). Now that I'm getting all of these various certifications, I'm ready to start helping people out on their fitness journey! Okay, not educational in the traditional sense, but these Be Better bars/squares are EVERYTHING. They are so good! They were one of the sponsors of the conference, and I really wish I had taken an entire suitcase home with me. My fiance has been eating all of my bars! This guy... Anyway, they're delicious and amazing and just nomnomnom... I'm going to stop writing about them because now I'm just getting hungry, and I have no business eating this late at night! Ty, Vida, THE Billy Blanks, and me in Downtown San Diego. 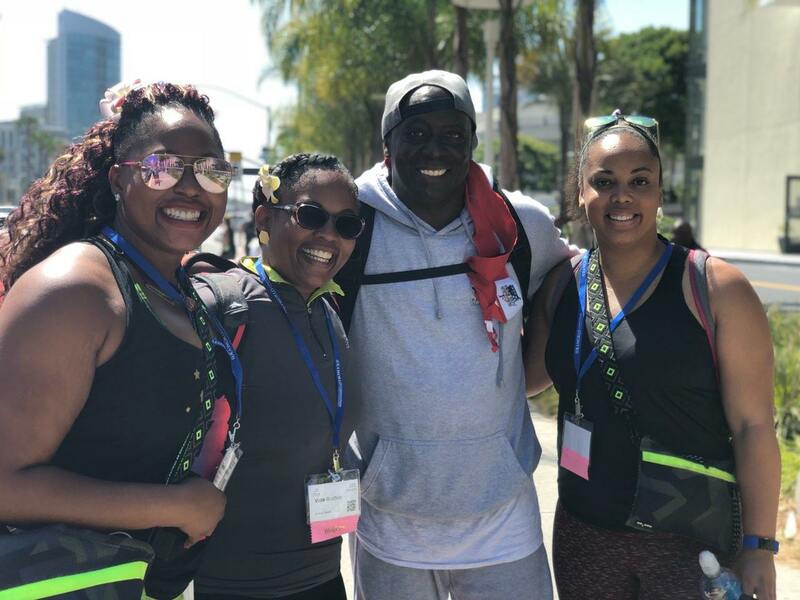 Oh, right, totally forgot to mention: I GOT TO MEET BILLY BLANKS WHEN WE WERE WALKING IN BETWEEN SESSIONS. He told us we smelled good. :-O His workout videos were the first ones I ever tried. We had them at my house growing up, and I really liked them! I told him this when I met him, and he was just so humble. Also, the man has not aged since those videos. I really missed an opportunity to ask him about his diet and skincare routine! Back to BlogFest: Nicci and Liz got our blood flowing with a Flex & Flow stretch break, which was followed by a session on Google Analytics. Now, I'm a data nerd, so I appreciated learning a few new tricks in Analytics (even though Google went and changed some things in the last week! ), but I did see a lot of eyes sort of glaze over. I thought it was informative, but Google Analytics can be really overwhelming if you're not used to looking at it! We ended our BlogFest Day 1 with a super fun MEGA workout circuit. 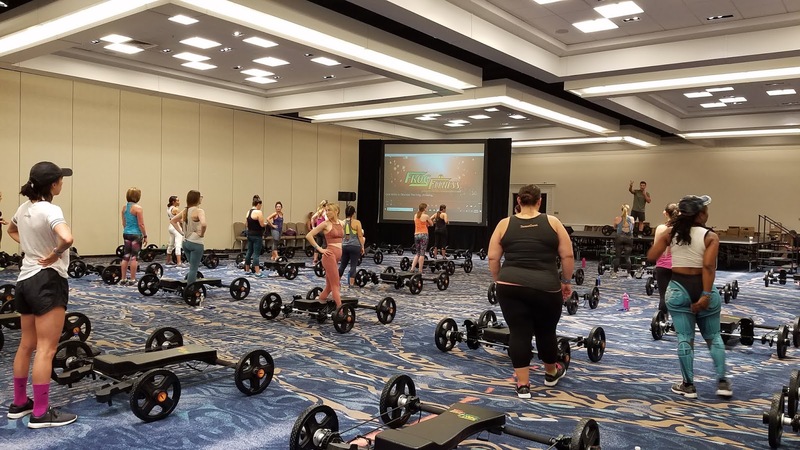 I fiiiiiinally got to try out a human-powered treadmill (I know that's not what it's called for real, but that's what I call it, for real), the Real Ryder cardio bike, and a bunch of Hedstrom Fitness products (the Kamagon ball and the Surge were two products I'd never tried before). It was challenging, but also fun! We went through a lot of different stations. I honestly lost count. But it was so fun! Sandrell, Vida, De, Emily, Shenie, and me on our way into the Welcome Party. The evening led us to the IDEA World welcome party. By the end of that first night, I was already exhausted. We had another early morning for Day 2, and I am horrible when it comes to jetlag, so it was not a late night for me! See my corresponding Instagram post here. This morning started out with one of the most challenging workouts I've ever done. Congratulations, Frog Fitness. You kicked our butts! Observe the body language of my fellow Sweat Pinkers. It says, "he gon' do what to who?" I finally got to meet GiGi from GiGi Eats Celebrities IRL. The first year I went, she was there, and I wanted to finally meet her offline, but a crowd gathered around her, so I decided to go about my biznass instead. This time, I didn't have to feel awkward or anything and could just go up and introduce myself. She's always so supportive of other influencers online, and she seemed just as positive and outgoing in person as she does online. It was great meeting her finally! 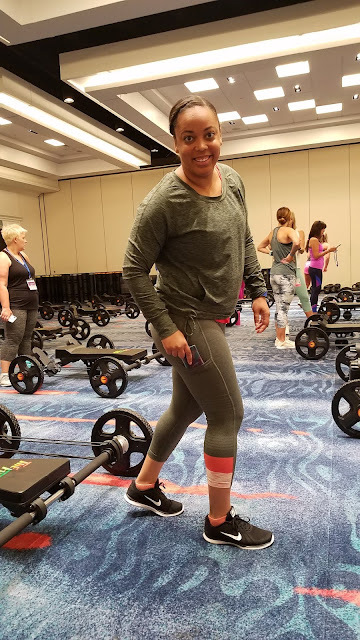 We got to do a fun exercise where we interviewed a fellow attendee, which is how I finally got to meet the newest member of our blogger tribe, Shanique. We interviewed each other, and I was totally digging her energy. She's just a cool, genuine person, and I'm so grateful to have met her and all of the other folks I got a chance to connect with during BlogFest! 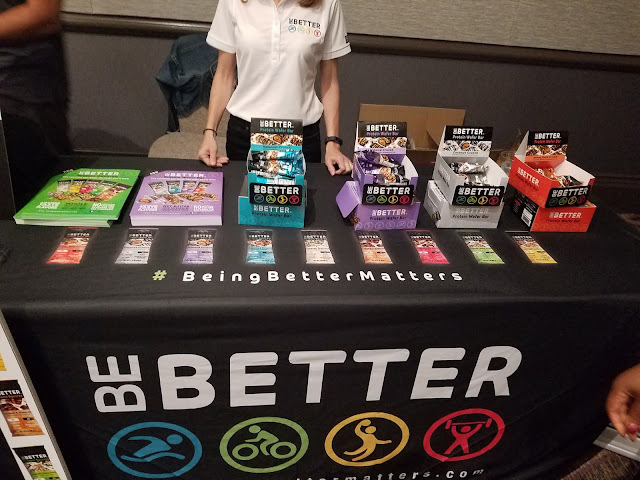 Our breakfast with General Mills introduced me to the wonder that is Chocolate Peanut Butter Cheerios, AKA the greatest cereal creation of the century. 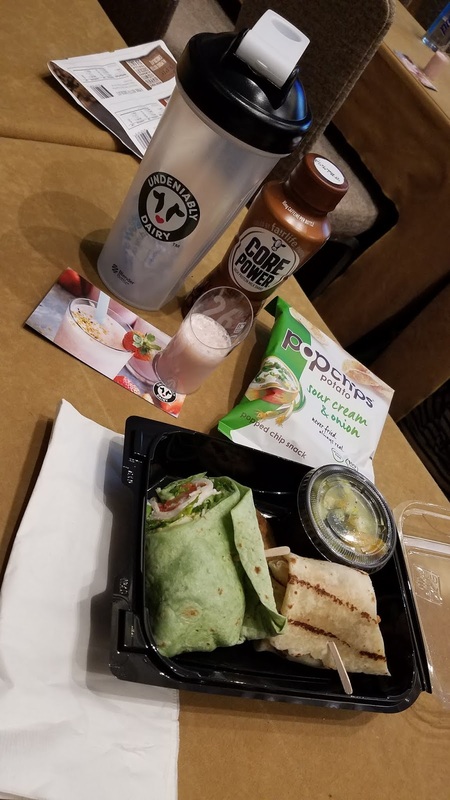 Our lunch with the National Dairy Council filled me up with knowledge (I was mostly focused on cheese-related facts, because, well, you guys know me. I can't help myself.) and delicious food. After lunch, we learned about podcasting (something I've been looking at pursuing and bought the equipment for months ago, and just need to dive in and go for it already!). This was followed by a way-too-short session with Natalie Jill who was just so down-to-earth and inspiring. Her journey has been absolutely motivating, and I was totally impressed by what she shared with us. Even more so, she reiterated a lot of the themes we'd been hearing throughout days 1 and 2. 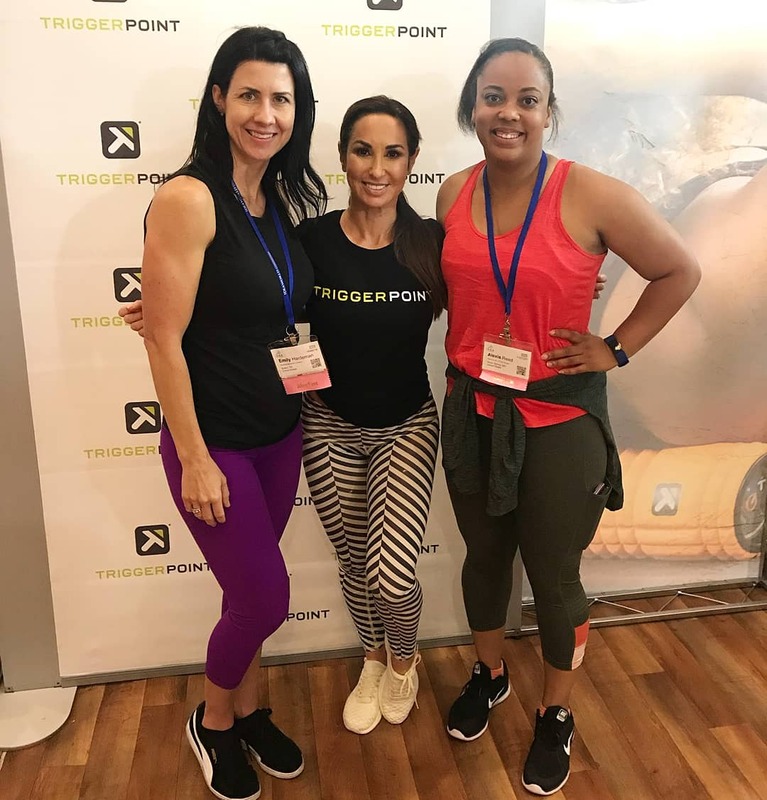 I had my brand one-on-ones, which are always thrilling and intimidating at the same time, and then was on to the Workout & Rollout with TriggerPoint and Natalie Jill. I learned one of the most painful yet fulfilling foam roller stretches during this session, and Natalie got us sweating and burning with her workout! 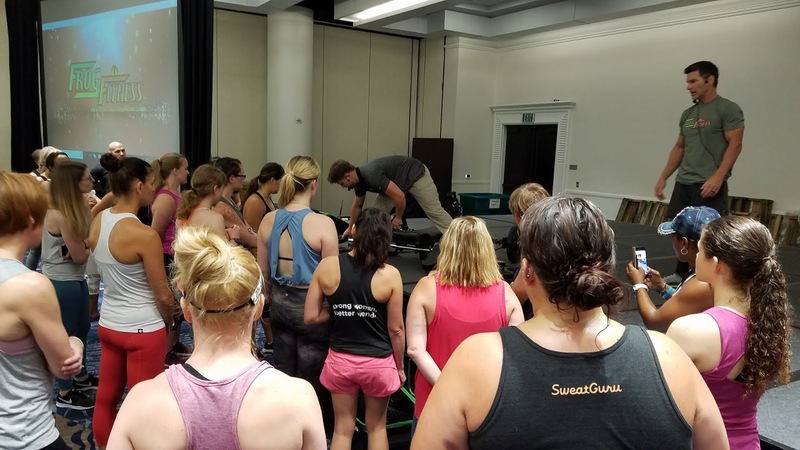 This workout was followed, sadly, by our closing networking happy hour. Le sad. I gave out a lot of hugs, but fortunately got to spend another day with some of my closest Sweat Pink buddies, so it wasn't all sad. See my Instagram post on Day 2 here. And yes, that is a legit coconut. We got so much great stuff this year! And it was useful, practical stuff! Those Be Better bars and squares are ridiculously good. Unfortunately, I did not take an entire suitcase home with me. I really wish I had because the old ball and chain has been tearing through these like the Tasmanian Devil! The Kettle Gryp is one of the coolest products I've ever received in a swag bag! These convert your dumbbells into kettlebells! 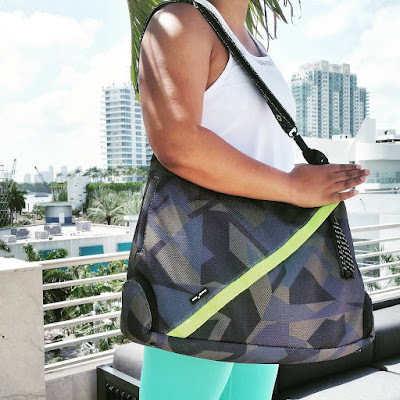 I'm in love with Haiku Bags now, thanks to BlogFest. 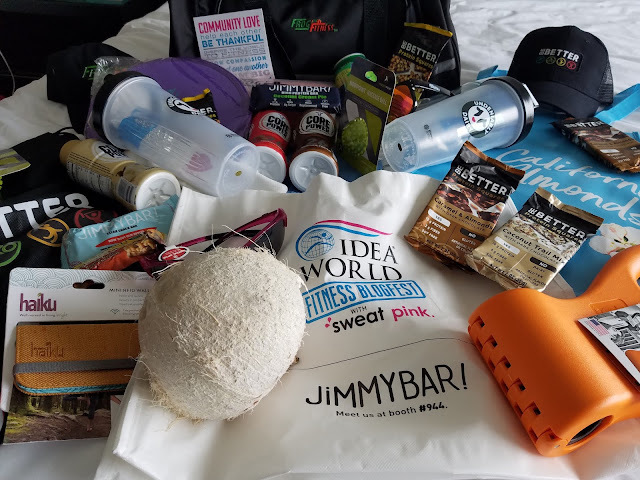 They gave us all swag and I came home with some extra products from them -- one on account of winning one of the giveaways they hosted during the conference! 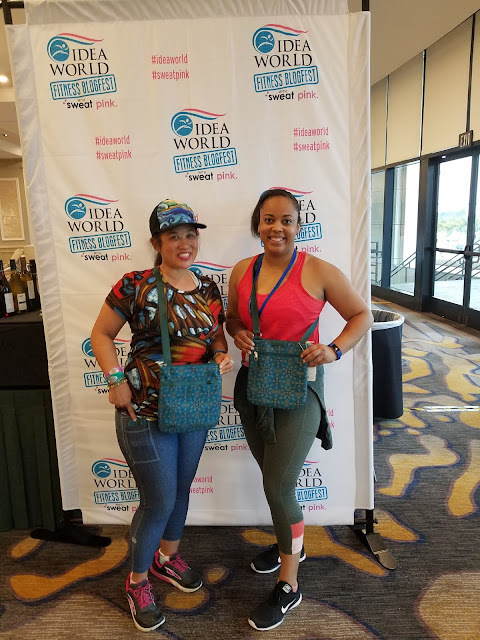 To my surprise, I won a bag from Haiku bags, as did my buddy Tam who I met at my first BlogFest. Yay! All in all, it was yet another successful, motivational, inspirational, and FUN BlogFest! A million thanks to all of our sponsors for making it all possible and amazing, and a bazillion thanks to the Fit Approach ladies for putting together such a wonderful program for all of us, year after year. For those of you reading this who are thinking about participating, DO IT! It's such a wonderful opportunity! I for one am planning to attend the conference in Anaheim next year, come hell or high water! This year's conference really showed me that all of the things I've been cooking up in my brain are things that I just need to go ahead and do! The only thing holding me back is myself! Curious about BlogFest? Drop your questions in the comments below! Did you have something amazing or transformational happen to you at BlogFest this year? Please share! Sounds like an absolutely amazing experience! I hope to get to experience BlogFest one day. It would be nice to meet someone of the people I follow on social media IRL! I love BlogFest so much! I went twice a few years ago and hope I can get back soon! I have never been but always wanted to. After reading this post, I really need to go. I am JEALOUS! I've always wanted to go to Blog Fest! PS: I love Sade Nardini, can't wait to see what you cook up! Alright, my FOMO is at an all-time high right now! BlogFest looks like so much fun, and I'm sure your post is just a tip of the iceberg! I think the best thing would be to meet all of your URL friends IRL!! !